While I fake tan my body on a regular basis, I usually leave my face alone due to fear of breaking out. However, I'd heard wonderful things about the Clarins Instant Smoothing Self Tan so I decided to give it a go. It's supposedly inspired by the brand's award-winning Instant Smooth Perfecting Touch primer, the only difference being this provides you with a touch of colour. The product claims to fill in fine lines, smooth pores and perfect your complexion, all the while giving your skin a healthy, sun-kissed glow. Needless to say I was excited to put it to the test! The tan is a smooth, creamy consistency which is easy to apply and distribute across the skin, while the guide colour ensures a natural, streak-free colour. A lot of reviews I read stated that the product has a very distinctive marzipan scent, but I don't find it too strong. Your finger tips will smell of fake-tan if you forget to wash your hands post-application, but thankfully you can't detect any fragrance on the face! I've been using the tan on and off for about two weeks and my thoughts are mixed. While I think it gives my face a lovely colour, I really don't like the way it sits under my makeup. A few people have stated that it feels greasy on the skin, but I actually find it quite drying. The day after I purchased this I popped some on over my moisturizer and waited 10 minutes or so before applying my foundation. I checked my face in the mirror throughout the day to find my makeup looked a bit flaky and grubby - my skin appeared as if it had been over-powdered and I felt like I had tons of product on. When my makeup sat perfectly on top of my regular primer the following day, I knew my flaky complexion had been down to Clarins. On the plus side I have been enjoying having a nice bronzed face. My skin looks like I've enjoyed two weeks in the Bahamas rather than spending my mornings slapping fake tan on. My acne scars appear much less prominent and my face finally matches my neck, meaning I can go out without makeup. Most importantly, I've not broken out! Hurray. While I do think this a nice product and I will enjoy using it up, I can't help but feel a bit disappointed. I know that it's not technically advertised as a primer so I don't want to be too picky, but I feel it hasn't really lived up to my expectations. It does make my face look beautifully bronzed and I will continue to use it as a self tanner, but as a primer I'm not a fan. I think £19 is a lot of money to pay for a product that doesn't really blow me away, so I don't think I'd repurchase. 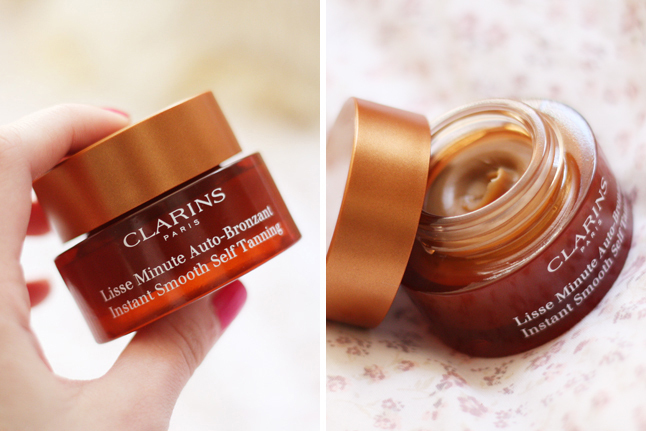 Have you ever tried the Clarins Instant Smoothing Self Tan? What did you think? Great review. Sorry it was disappointing. Nope I haven't used it and I won't. Pretty pricey imo. And I don't like the smell of marzipan anyway, lol. 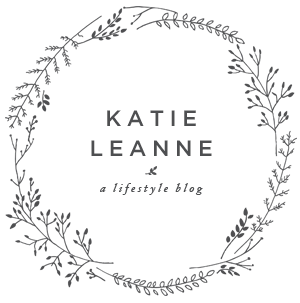 Lovely blog here btw! Would you like to follow each other on GFC? Please let me know on my blog so I can follow back. Thank you. i really wanted to try this, but i'm a bit hesitant after your review!